There are many reasons to increase the amount of seafood in your diet. 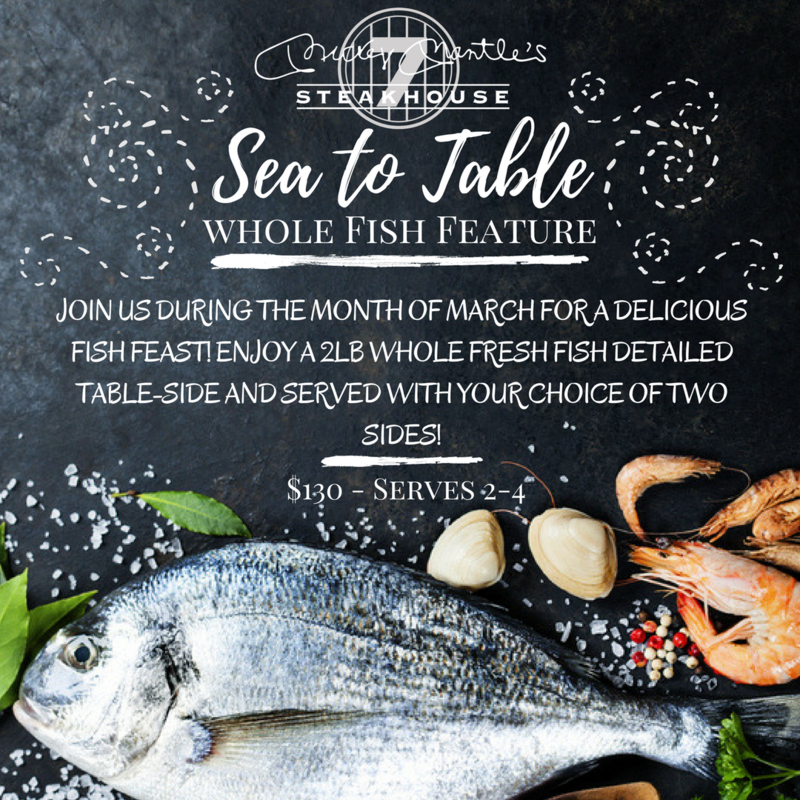 Whether you are sticking to a New Year’s resolution to be healthier, working on your heart health, going pescatarian for lent or just looking to try something new, join us during the month of March for a delicious fresh fish feast! We’ll be bringing the best of the sea straight to your table with new & adventurous whole fish preparations. Guests can enjoy a 2 lb. whole fish detailed table-side and served with your choice of two sides. This feast serves two to four people based on appetite and is specially priced at $130. Fish preparations will change throughout the month so stay tuned to our Facebook, Twitter & Instagram pages for up to date photos of our current featured fish or feel free to call us to see what’s on deck for the day. Don’t forget to check out our classic seafood selections from our main menu too! Make your way to Mickey’s this month and experience the freshest in Sea to Table dining that OKC has to offer. Call for reservations at 405-272-0777 or visit www.mickeymantlesteakhouse.com. Experience ‘Sea to Table’ dining at its best in OKC!